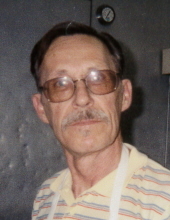 Harold Lee “Harry” Connerley, of Rolla, passed away February 23, 2019, at the age of 78. He was born in Pennsylvania on February 9, 1941 to Harold and Anna (Betz) Connerley. Harry was preceded in death by his father, Harold Connerley; mother, Anna Mattingly; his son, Michael Connerley; and one brother. He will be greatly missed by his surviving family which includes his daughter, Lorena Connerley, of Rolla; four grandchildren; one great grandchild; other extended family members and dear friends. A service celebrating the life of Harry Connerley will be held at 1 pm. Friday, March 8, 2019, at Penelope’s Restaurant in Rolla. To send flowers or a remembrance gift to the family of Harold Lee Connerley, please visit our Tribute Store. "Email Address" would like to share the life celebration of Harold Lee Connerley. Click on the "link" to go to share a favorite memory or leave a condolence message for the family.